Rocio Rendon Rocio Rendon Contact information: phone: 993012168 rociorendon3@hotmail.com www.rociorendon.com www.molaa.org/Art/Collection/Artist-Listing/Rocio-Jesus-Rendon-Castaneda.asp Rocio Rendon is an engraving artist graduated from ENSABAP-National Superior Autonomous School of Fine Arts of Peru (Peru's National School of Fine Arts, 1998). She has presented two solo exhibitions: Scrape and Win. 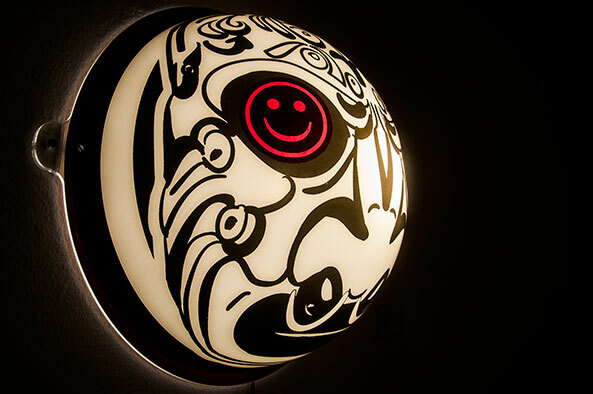 Playful print in liquidation (Scratch and Win, Playful Print on sale, 2007, Artco Art Gallery, Lima) and Malestar de la Cultura (Uneasiness in culture, 2009, Artco Art Gallery, Lima). She also took part in several collective exhibitions in Peru as well as in the United States, Canada, Brazil, Argentina and Spain. In 2008 she was awarded with the MOLAA International Prize for Painting and Two-Dimentional Mixed Media. Previously, she won the first prize of the XXVII ICPNA-Instituto Peruano Norteamericano's Engraving Hall (Peruvian North American Cultural Institute, 1997, Lima) and received the first award of the 13th National Painting Contest Michell & CIA (1993, Lima). Rocio Rendon is an engraving artist graduated from ENSABAP-Escuela Nacional Superior Autonoma de Bellas Artes del Perú (Peru's National School of Fine Arts, 1998). 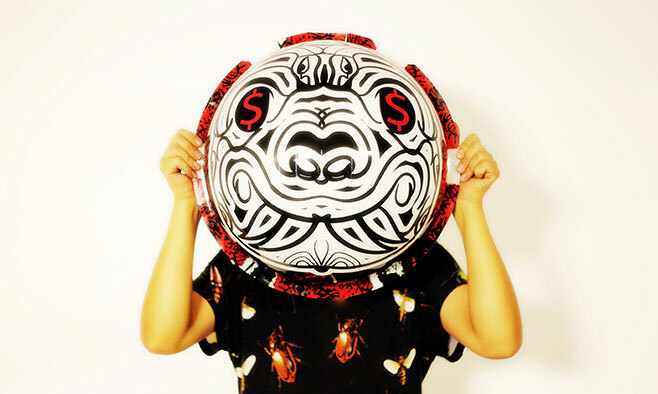 She has presented two solo exhibitions: Raspa y Gana. Estampa lúdica en liquidación (Scratch and Win. Playful Print on sale. 2007, Artco Art Gallery, Lima) and Malestar de la Cultura (Uneasiness in culture. 2009, Artco Art Gallery, Lima). She also took part in several collective exhibitions in Peru as well as in the United States, Canada, Brazil, Argentina and Spain. In 2008 she was awarded with the MOLAA International Prize for Painting and Two-Dimentional Mixed Media. 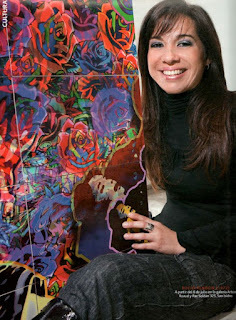 Previously, she won the first prize of the XXVII ICPNA-Instituto Cultural Peruano Norteamericano’s Engraving Hall (Peruvian North American Cultural Institute,1997, Lima) and received the first award of the XIII Painting National Contest Michell & CIA (1993, Lima). Toño Nuñez es artista plástico de la Escuela Nacional Autónoma de Bellas Artes del Perú, egresado con mención honrosa en la especialidad de grabado en el 2006, Obtuvo el primer premio del 33 salón nacional de grabado artístico ICPNA 2010. El tercer premio en el concurso nacional de pintura Mapfre en el 2017. Exposiciones colectivas: Bienal intercontinental de Arte indígena, exposición Amaru Runa 2018, 5th graphic Biennial of Szekerland, Rumanía. 2018. Próximamente en el MOLAA. Museo Latinoamericano de los Angeles 2019. Su obra gira en torno al reconocimiento de imágenes que forman parte del imaginario colectivo Peruano, relacionados desde la iconografía precolombina hasta la exposición de imágenes que forman parte de la cultura popular urbana. Su interés se manifiesta en las formas de creación que surgen ante estos contactos. 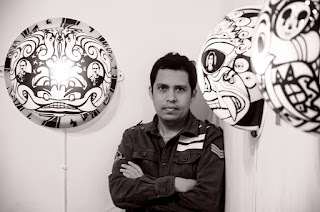 Toño Nuñez is a visual artist of the National School of Fine Arts of Peru. Were he finished with honors in the specialty of engraving in 2006. Toño won first prize in the 33 national printing salon ICONA 2010, Third prize in the MAPFRE national painting competition 2017. Participated in individual art exhibitions, Outsider at the Cultural Center Ccoriwasi 2011, The Hive at the Ipna in 2013 in the framework of the international biennial of engraving in Lima, Round 3 at the gallery del Barrio 2015, bi personal Graphic + graphics, Toño Nuñez and Herbert Rodriguez 2014. Coming soon in the MOLAA. Latin American Museum of the Angels 2019. Annika Kappner (1980 Berlin, DE) explores possibilities of sensory composition combining painting, installation, sculpture, sound, and performance. 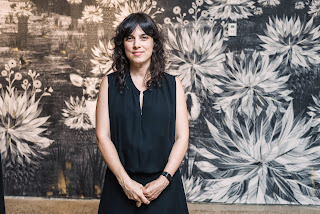 Her work is interested in the evolution of consciousness, the shifting perception of (self) image in relation to mental patterns and the underlying forces that shape their systemic counterparts in nature, visual arts, technology, and science. She seeks to add experiential perspectives to the contemporary relation between human, nature, and technology; addressing concepts of non-duality and otherness, to explore alternatives to the capitalist, exploitative structures of thinking and being. Her work has been presented, among others, at Kunstfort Vijfhuizen (NL), Marres House for Contemporary Art Maastricht (NL), National Museum of Natural History, Menton (FR), Wallace Museum (UK), Victoria and Albert Museum (UK) and Brian Morris Gallery (NY). The Cultural Association Centro Selva Arte y Ciencia is proud to present the participants in the group artist in residence program for August 2018.